Rapid shifts in weather have left many of Bakersfield, California’s roads in shaky condition. For the city’s residents, these events have only further highlighted the importance of better dust control. The people of Bakersfield, California, experienced a roller coaster of winter weather just this past February. Near-freezing temperatures on the 11th — a Monday — gave way to balmy weather in the mid-60s only two days later, not to mention strong winds that carried copious amounts of dust to many parts of town. This weather whiplash resulted in more than just the bewilderment of the city’s residents — it created a major issue with air pollution. Local news source Bakersfield.com reported that, over the course of that Wednesday, particulate air pollution rose from a “good” Level 1 to a “very unhealthy” Level 5. This high concentration of large dust particles led local officials to issue a health warning to all residents. While Bakersfield has no control over the weather that brought the threat of fugitive dust, what officials can do is start employing proven dust control products and application strategies to ensure their city’s unpaved roads don’t impact the health and safety of the community. Airborne dust can present a serious health issue to populations living near unpaved roads, especially in climates as dry as Bakersfield’s. Particulate matter that is 10 microns or smaller (PM10) can negatively affect the human respiratory system, and high concentrations of PM10 or PM2.5 dust particles can be especially damaging to local communities and populations. Luckily, the air quality began to improve in Bakersfield rather quickly, reaching a “Moderate” level of 25 micrograms per cubic meter by 4pm that same Wednesday. But the city has plenty of reason to believe the issue could arise again soon — the region is expected to get a very small amount of rainfall in the coming months, creating all the conditions necessary for an unfortunate repeat of February’s weather phenomena. The 1977 cyclone was the city’s worst since the infamous Dust Bowl of the 1930s, when many Bakersfield citizens were forced to flee blinding torrents of dirt and wind. Why does Bakersfield have such a rough history with fugitive dust? It’s largely due to California’s dry climate and the fact that the city is situated in a valley between the Sierra Nevada and the California Coast mountain ranges. Moreover, it’s an agricultural town, which means plenty of open farmland, as well as a robust network of dirt and gravel roads that connect the farms to nearby towns and cities. In order to prepare for the next major dust storm, local officials in Bakersfield must invest in the most innovative road dust control products and application methods available. Doing so represents a clear positive step that the city can take towards improving the health and safety of its citizens during these extreme weather events. It’s unlikely that Bakersfield will face a storm of the magnitude seen in 1977 or the Great Depression any time soon, but this February’s storm serves as a reminder that dust is still a consistent problem for this area. Private organizations and municipalities in the area who own and operate unpaved roads can do their part to protect surrounding communities and avoid costly regulatory fines by investing in patented dust control products from Midwest Industrial Supply, Inc.
With over 40 years of experience helping private and public organizations suppress dust on their unpaved roads, Midwest has the expertise needed to design a custom dust control program to meet any municipality or company’s needs — regardless of the conditions. Our products have proven time again to eliminate PM10 and PM2.5 particles, and require fewer applications than competing dust control solutions. Even when the sun shines on the Golden State, fugitive dust presents an array of health and safety issues for Californians. 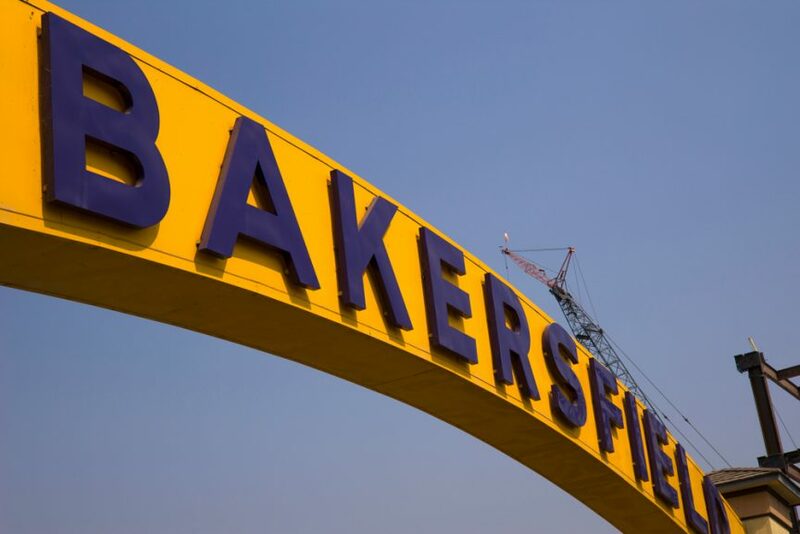 With a dust control program built by Midwest, residents of municipalities like Bakersfield can all begin to breathe a lot easier knowing that we have them covered.